These high quality spats are hand made right here at L & M Highland from the best materials available and will hold up under the most challenging of conditions. 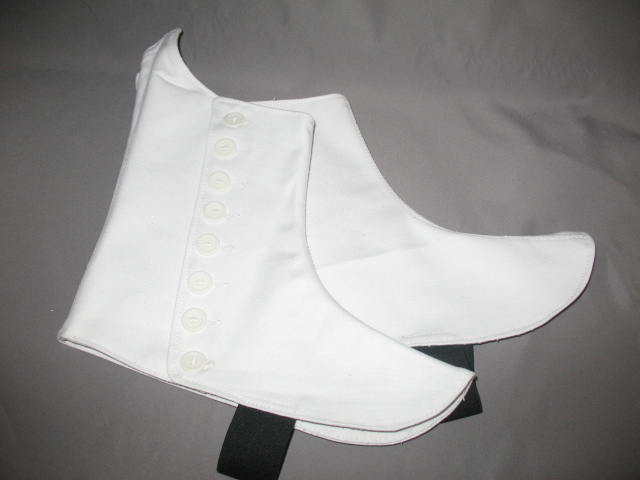 Whether for Military or civilian use our spats will provide years of wear with only minimal maintenance. We offer 4 standard sizes that fit most adults. Buttons are available in both black and white. The standard configuration is 8 buttons but that can be altered at no additional cost to the customer. Please specify your preferences when ordering. Custom toe cut is also available. For example, Black Watch spats have a V cut toe.